The IGT Isola dei Nuraghi 2011 Barrua is a hearty blend of 85% Carignano, 10% Cabernet Sauvignon and 5% Merlot that is aged up to 18 months in oak. The wine boasts a compelling international signature that borrows from the great wines of Bolgheri and Bordeaux. The fruit reaches perfect maturity with luscious ripeness and deep aromatic intensity. At the back are pretty spice, tobacco and dark chocolate tones that build the wine’s personality. Barrua will hold five years or more. The 2009 Amarone della Valpolicella is loaded with sweet spice, rum cake, dried prune, cassis and balsam notes of licorice and dried mint. The grapes are left to dry for four months in a gently ventilated room. Fruit is harvested in the Bastia area, between the Val d’Alene and the Val d’Illasi. The wine offers thick concentration that is not over the top. It promises another 48 months of slow bottle evolution. An exceptional wine made from volcanic soils, the 2012 Soave Motto Piane opens to a deep golden color and thick intensity. The bouquet explodes with honey, candied fruit, almond marzipan and dried herbs. The wine is particularly rewarding to the palate where it delivers creamy richness and a very long, luscious finish. It has the structure to pair with white meats or creamy pasta dishes. Grapes are harvested the second week of September and dried on straw mats for one month before pressing. Brimming with bright fruit aromas, the 2010 Chianti Classico Riserva shows a carefree and uninhibited personality at this young stage in the wine’s life cycle. Cherry and spice are backed by tight mineral nuances that add focus and definition. In the mouth, this Chianti Classico Riserva shows a vert light and delicate touch. The 2009 Chianti Classico Riserva is a beautifully balanced and compelling wine that delivers red fruit, black cherry, plum, leather and spice in quick succession. All parts are integrated nicely as a whole. The wine shows silky tannins that glide smoothly over the palate imparting more black fruit flavors along the way. The 2010 Do Ut Des is a gorgeous Tuscan blend that exudes intensity, energy and bright cherry and blackberry flavors. The 2010 vintage is especially tight, firm and delineated. As the wine evolves in the glass, it emits soft layers of spice, leather and tobacco that linger long on the palate. The tannins are especially well managed and velvety. The 2009 Do Ut Des is an IGT Toscana blend of Sangiovese, Merlot and Cabernet Sauvignon from enologist Gioia Cresti. The results are very impressive thanks to the seamless integration of spice and the bright fruit intensity on display. Dark cherry, clove and grilled herbs all come into play. In the mouth, the wine is determined and well-concentrated without feeling heavy or flat. I especially enjoyed the fullness of the 2009 vintage. Giampaolo Motta’s 2012 La Massa wraps clean around the palate, imparting sassy tones of Mexican spice, tobacco and dark berry fruit. The blend is 60% Sangiovese with Cabernet Sauvignon, Merlot and Alicante. The wine shows luscious dark concentration with equal billing to both the dark fruity component of the wine and its spicy, oak-driven spice. There’s a firmness to the tannins that should soften with time. I love that the bottle still shows a roasting chicken on the back label to poke fun at the Gallo Nero Chianti Classico logo. The 2011 Giorgio Primo is the latest edition of one of my favorite Tuscan blends. Cabernet Sauvignon, Merlot and Petit Verdot are the three pillars of this broadly textured red. Soaring aromas include dark cherry, marzipan and even a touch of chocolate cookie dough. Its texture is chewy, rich and syrupy and you definitely feel that 15% alcohol on the close. The non-vintage Franciacorta Brut is a very ripe expression with loads of yellow fruit and apricot that add immediate lift and intensity. The mouthfeel is broad and thick with loads of deep texture and creamy intensity on the finish. This elegant Franciacorta Brut (80-20 Chardonnay and Pinot Nero) delivers a soft and expansive interpretation of this premium Italian sparkling wine territory. Drink: 2014-2018. The 2008 Franciacorta Brut Nature is 70% Chardonnay and 30% Pinot Nero. This is a beautifully shaped and opulent expression that bursts forth with nectarine and fragrant yellow flower. Yeasty touches of baked bread and brioche add intensity and persistency. The non-vintage Franciacorta Radijan Brut Rosé is a mature and creamy rose sparkler that exhibits an amber-pink color and pretty orange highlights. The wine carries its aromatic weight with grace: ripe peach, melon and baked bread are framed by chalk and finely chiseled lines. A spot of exotic spice or nutmeg colors the fresh, delicately foaming finale. This bottle was disgorged in April 2013. Drink: 2014-2018. 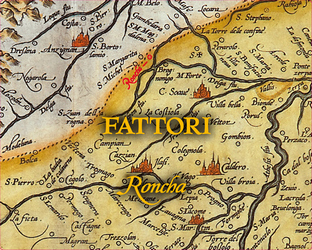 Ronco Calino is another estate that characterizes the dynamic energy of Franciacorta. Entrepreneur Paolo Radici from nearby Bergamo founded the estate in 1996 and transferred his passion and business acumen to his vines. Of these wines, the 2007 Franciacorta Brut and the 2008 Franciacorta Brut Nature are not imported. 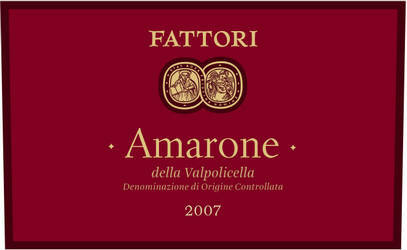 Antonio Fattori is one of the most talented white winemakers in the Veneto. Although he also makes Valpolicella reds, his white Soave expressions are the true standouts. I remember visiting him at his super sleek and impossibly tidy winery a few years back. He led me to a tiny plot of land just across the street and pointed to the soil. It was the most amazing color with deep amber-yellow hues and bright veins of red. Just one hill over, I had seen dark soils with dusty shadings of dark grey and black. The volcanic geology of the Soave region is fascinating and the variability is mesmerizing. The red soils of the aptly named Terrossa di Ronca subzone produce ethereal and elegant white wines that are powerfully distinguished by their chiseled mineral notes. Fattori’s wines embrace this quality perfectly. 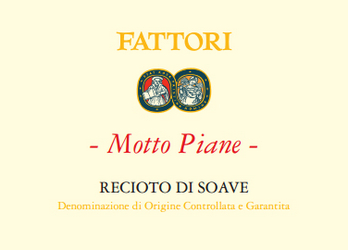 The 2011 Soave Motto Piane takes Garganega, this work horse white grape at the base of all Soave wines, to new heights. Clusters were harvested the second week of September and subsequently laid to dry on straw mats for approximately 30 days. Winemaking sees a variety of vessels including stainless steel, tonneaux and botte. The bouquet is expressive and elegant with enduring tones of candied peach, lemon custard, stone fruit and yellow flower. Its elegance is capped by perfectly chiseled mineral notes that frame and contain the wine’s terrific expressiveness. Soave is an age-worthy white and this wine will continue to evolve in the upcoming years. Drink 2014-2019. A delicious blend of Garganega (50%), Pinot Grigio, Trebbiano di Soave and Durella, the 2011 Roncha has the substance to stand up to spicy Thai or Vietnamese dishes. A small percentage of the Garganega harvested is left to air-dry and the wine does indeed show pretty creaminess and density. The bouquet opens to honey, white flower, stone fruit and there’s a touch of candied orange peel as well. This is great value for a wonderfully expressive Italian white. Drink 2013-2017. Lots of lovely autumnal tones of forest floor and beetroot open the bouquet of the 2007 Amarone della Valpolicella. Most of the fruit (Corvina, Corvinone, Rondinella and other red grapes) is sourced from a single vineyard planted to 20- and 35-year-old vines in prime production. The grapes are appassite for up to five months and the completed wine is gently aged 36 months in oak. I love the earthy intensity of this wine, its bright garnet color, energy and soft texture. Drink 2015-2025. Home » Posts tagged "WA"